sHandke ART jouRnal: BLACK FRIDAY SPECIAL! I really dislike visiting the stores on this day each year, so I decided to offer a Black Friday Special in my etsy shop for anyone who would rather shop online. 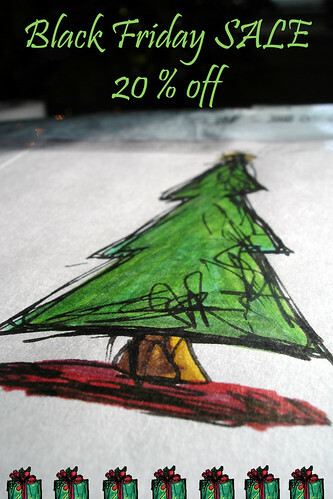 You can have 20% OFF ANYTHING in my shop today only! So hurry on over and buy some art for those you love as a holiday gift this year.